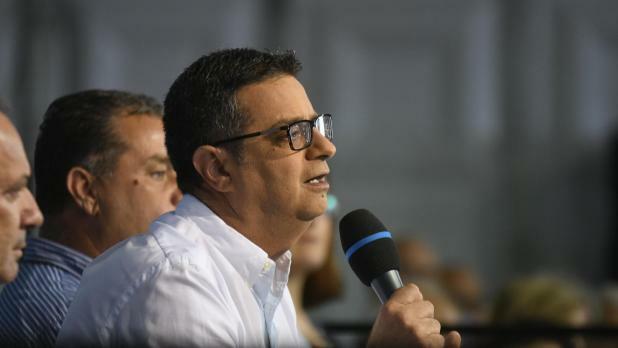 The government’s policy to import foreign workers was “fuelling poverty”, Opposition leader Adrian Delia said as he insisted that his party was working on a plan to solve the housing problem. “We are working to ensure that the government would be bound to guarantee that everyone would have a place where to live,” Dr Delia pledged this morning during a political activity in Mqabba. He added that this was not a pie in the sky but a doable measure on which the party was already working. “It is only after we guarantee a decent living that we should start talking on the rights of robots,” the PN leader said. Dr Delia’s remark was made in the wake of a recent remark by Prime Minister Joseph Muscat about the future need to discuss if not regulate the rights of robots. In his address, Dr Delia once against singled out the government’s controversial policy to address the labour shortage through migrant workers. He reiterated his concerns that an influx of 70,000 workers would plug such shortage but at the same time accentuate certain social problems like social housing and accommodation. He noted that according to official data, there are 3,200 requests for social housing on the government’s waiting list. Dr Delia expressed concerns that Maltese people were being priced out when trying to rent an apartment, saying that he had come across a case whereby nine persons were sharing a three-bedroomed apartment. “Government has a clear plan which will stoke the fire that is burning poor people,” he said. While acknowledging that the economy was expanding, he insisted that sectors of society were nonetheless being left with less money in their pockets. The government’s only policy was to increase production and consumption through an increase in population, he added. Dr Delia remarked that the housing issue was also starting to hurt specialised foreign workers which the country could not do without due to the sharp increase in accommodation expenses. These foreign experts are starting to leave, he said. Dr Delia said the Prime Minister’s recent “cowardly attack” former PN leader Simon Busuttil in Parliament on the Egrant inquiry conclusions was testament to the “political bias” which existed in the country. “We will not allow any members of the Opposition to be attacked and we will be behind any MP being targeted regardless of who they are,” the PN leader said. Referring to a parliamentary motion filed this week for an inquiry to establish whether the State could have prevented Ms Caruana Galizia’s murder, Dr Delia criticised the government for refusing to debate the issue urgently. “Government knows it is obliged to solve this murder and knows it can find the mastermind. Such responsibility falls solely on the Prime Minister,” he said. He also expressed concern that a recent Constitutional Court judgment which declared that the involvement of deputy commissioner Silvio Valletta in the investigations, had breached the fundamental rights of the Caruana Galizia family. Rather than somebody shouldering responsibility like in a “normal western democracy” nothing happened, Dr Delia said. The PN leader also reiterated his harsh criticism to the Attorney General, saying the latter’s refusal to hand him a copy of the Egrant inquiry report was an attempt to silence the Opposition and create political bias. He expressed concern that Malta’s reputation was being harmed with each and every report about “commercial banks going through turmoil”. However, he said the party would do its utmost to defend Malta, and convey the message that the majority of the people were honest and of good integrity. Nevertheless, he cautioned that foreign institutions like the OECD, which recently blacklisted Malta for its sale of passports scheme, were causing very serious damage to the financial services industry. “We need to go abroad and convey the message that the PN can restore Malta’s reputation,” he said.